This weeks post I went back to basics, keeping my attendance monotone in an elongating all black ensemble. The statement piece transpired via waxed leather-esque sweatpants, accompanied by a not so killer platform heels from Zara. The look was completed with a high neckline and slicked back ponytail, rendering a simplistic lengthened melody. Waxed Sweatpants: Saks 5th Avenue. 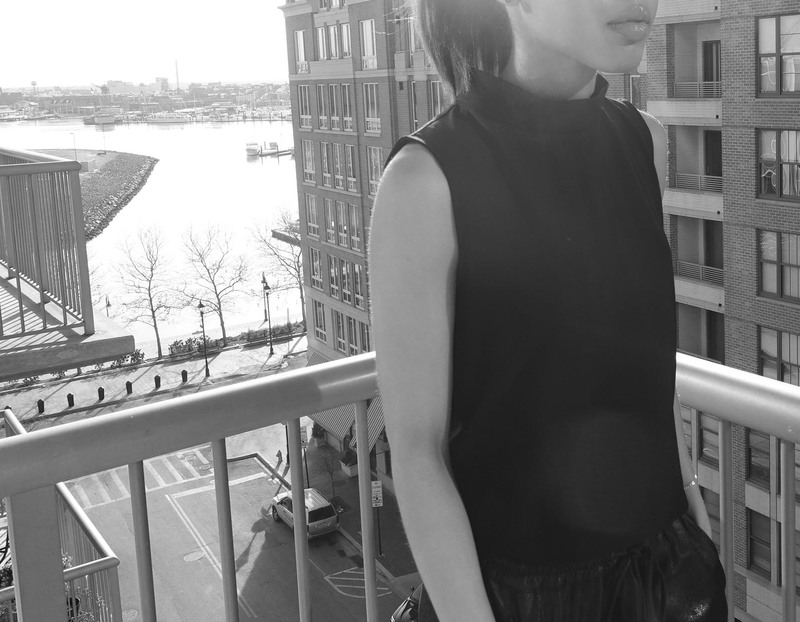 High Neck Top: Saks 5th Avenue. 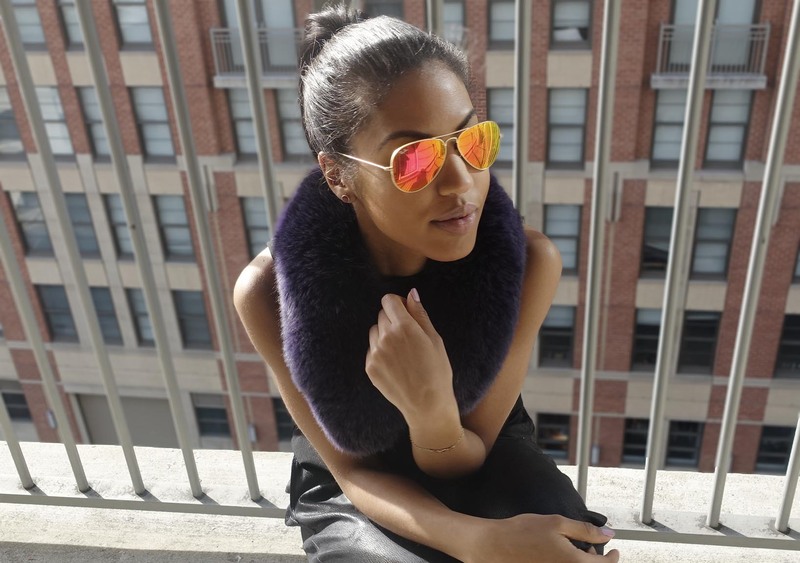 Purple Fur Scarf: Kyi Kyi ( via Bloomingdales Outlet Store).